Automatic Sliding and Automatic Swing Gates Sacramento: Automatic driveway gates are one of the most safe, and secure ways to secure the premises of your residential, commercial or even industrial location in Sacramento. We can match any design you can imagine. We deliver the highest standards, and the highest fabrication certifications in the Sacramento area for all automatic driveway gates. For example we can provide many different security features for your automatic gates including remote entry, keypad entry, or even intercom entry that will connect all the phone lines and your entire house, commercial or industrial location in Sacramento. Our automatic driveway gate installers are quick, clean, and very friendly as well as they can come out and do any touch ups or repairs if needed on your automatic driveway gate. For many years in the Sacramento area we have designed automatic gates that are of the finest quality, and the most original custom designs. If you are thinking of designing a new automatic gate for your home, business, or industrial location in the Sacramento area, please contact us today for more information and we will be glad to help you out with starting a new automatic driveway gate. We offer the most unique, and stunning automatic gates you can imagine in the Sacramento area. 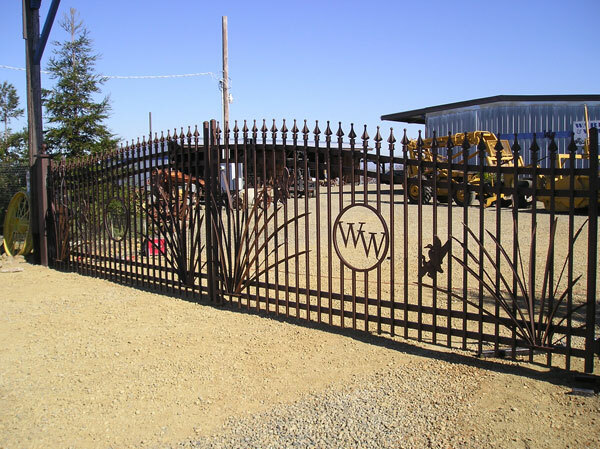 All of our iron work is fabricated in house by local driveway gate contractors right here in the Sacramento area, and all of our Iron driveway gates and automatic gates come with a full warranty. There are no hidden charges, and we are licensed, bonded, and insured for your safety.